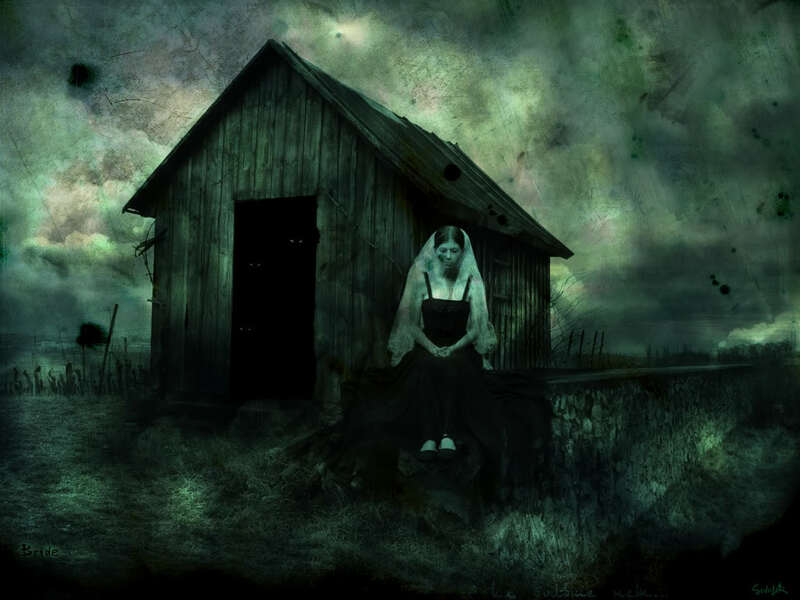 Today Genre Top 5 is one that’s not usually associated with writing, but can lead to a great deal of inspiration- music. Now, I don’t plan to turn this into a list of my favorite bands, but rather songwriters (and their subsequent groups) that have inspired the formation of characters for me. As I’ve said in my music inspiration post, all music has its own type of character, and listening to it can allow a writer to form a person in their mind, just from the subject matter of the song. 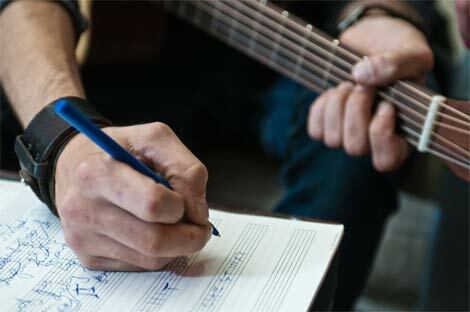 So today is a list of five extremely personal songwriters who have inspired me, and will hopefully lead you to dig through your music in hopes of creating great characters. I put this writer early on the list because of his relatively short career, but the music he created and is still maintained by the Gin Blossoms today, shows a dark, intelligent, and surprisingly tuneful mind. Hopkins is famous as the original Gin Blossoms guitarist, writing many of their early hits like “Hey Jealousy” and “Found Out About You.” Unfortunately, he suffered from depression and alcoholism, and was eventually forced out of the band by their record label and committed suicide some time later. Ironically, his hook-filled, jangle pop songs often reflect this; beneath its sparkle, “Hey Jealousy” is a man begging an ex to just let him spend the night and try to recapture the days he threw away. Other songs like “Found Out About You” also bury darkness under a strong hook (listen to the song for a tale of a man bemoaning time wasted on an undeserving girl, but then taking a turn into possible revenge), and “Lost Horizons” is a clear reference to Hopkins’ alcoholism (‘drink enough to make this world seem new again’). The Blossoms were never able to recapture Hopkins’ ability after his dismissal, but have kept his themes, touching on regret and isolation in many songs (“Not Only Numb” “My Car”). Still, listening to the Hopkins material is a fascinating look at darkness and pain hidden behind jangling guitars and singalong hooks, and can form the basis for a character hiding their own pain in any number of ways. 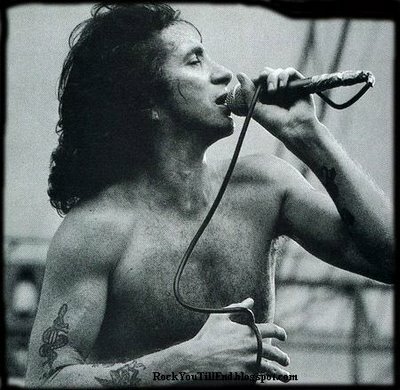 As a member of AC/DC, Bon Scott was not chosen for his lyrical depth. However, he did make for the immense character he put into his songs and roguish persona he made with them. His main appeal was his lyrical cleverness, being able to piece together phrases to great effect (“she had the body of Venus, with arms!). And while his voice brought a great deal of character to his songs, his lyrics and titles, (“Big Balls,” “Live Wire,” “Ride On,” “The Jack,” ”Highway to Hell,” “Dirty Deeds Done Dirt Cheap,”) cemented him as a perfect pirate rogue, and a essential listening piece for anyone looking to make that kind of character come alive. 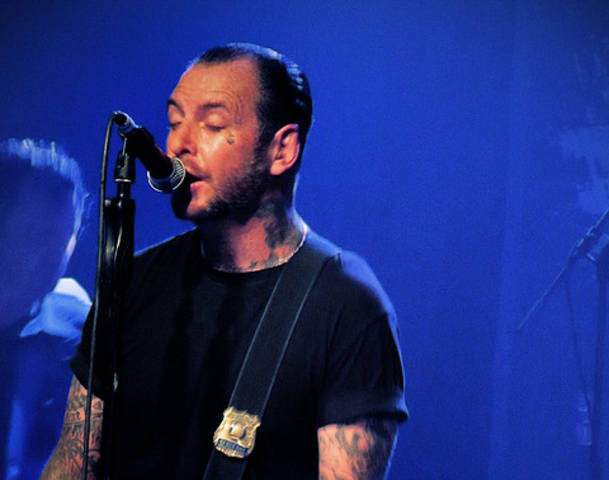 One of the great underrated songwriters, Mike Ness’s catalogue is a perfect example of anger, growth, shame, love, and defiance. Listening to each album in sequence is literally watching a man grow before your eyes. Early SD songs focused on punk defiance and hatred of the privileged (“Mommy’s Little Monster” “The Creeps,”) but as Ness entered rehab for his crippling heroin addiction, his lyrics touched on regret and perhaps bettering himself (“Prison Bound,” “Ball and Chain,” “Cold Feelings”). He later branched out into the passage of time (“Story of My Life”), acceptance of faults, (“I Was Wrong,”), the difficulties of love (“Footprints on My Ceiling,” “Angel’s Wings,” “Writing On the Wall,”), while still maintaining a healthy level of defiance (“Still Alive,”). Like the best kind of music, it has grown with the audience and paints the picture of a person growing up, and learning how to hold onto what matters, like the best of characters can do. As a Jersey guy, it was a given I’d have to include the Boss on this list. However, his inclusion is far from a location-based bias. 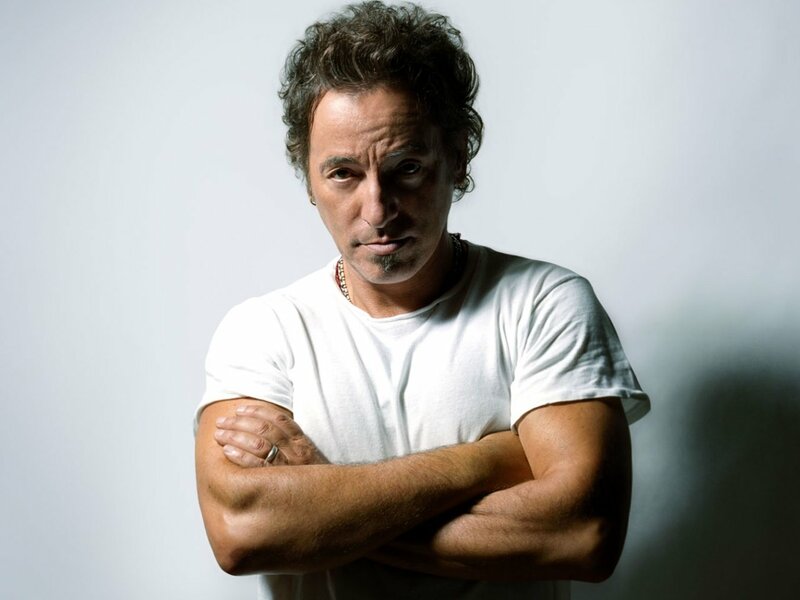 Springsteen’s strength as a songwriter is his ability to craft real-life, in-depth characters in his songs. He can compose epic story songs about the boy finally making good (“Rosalita”) the loss of youth and its promises (“The River”), the hopes of the young against hard times (“Badlands,” “The Promised Land,” “Wrecking Ball,”) and how much home is something to escape from and something to find again (“Born to Run,” “My Hometown,”). Every time he writes a song, the listeners finds a touch of a person or an experience they know firsthand, and they feel themselves drawn into the realism. To quote Jon Stewart, “When you listen to Springsteen, you aren’t a loser. You are a character in an epic poem… about losers.” That common thread of realism make Springsteen’s characters people you see everyday, and as such, they are people that you relate to. My all time favorite and most complicated songwriter. 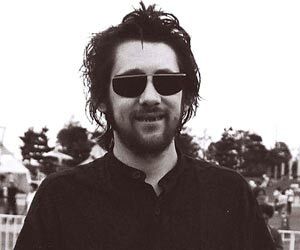 Shane McGowan, leader and songwriter of the first Celtic-punk band, the Pogues, is as much a character as the people in his songs. 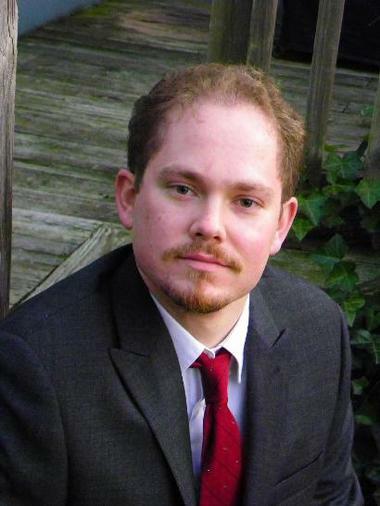 McGowan’s songs speak of alternating joy and misery. His songs generally have jig ready Irish music, but the lyrics are wrapped in death and rebellion (“Sally MacLennan,” “If I Should Fall From Grace With God,” “The Sunny Side of the Street”). Yet when he writes a ballad or slower song, he can access the mind of an old solider and a young kid (“Pair of Brown Eyes”), his own misery growing up (“The Old Main Drag,” “Boys From the County Hell,” “Dark Streets of London,”) and the most tender, lovelorn lyrics ever committed to music (“Rainy Night in Soho,”). Perhaps nowhere is this dichotomy better realized then his greatest composition, “Fairytale of New York.” In this Christmas song, McGowan captures the realism of an old, worn out couple at Christmas time, regretting their lost years and blaming each other for their failures, yet with a small spark of love still apparent at the end. It’s a rich, memorable, realistic, and gripping tale, filled with two characters that like Springsteen, we can see everyday. But unlike Springsteen, McGowan dives into the darker underbelly, which makes his characters echo and resonate even more. This week, I was intending to continue with my Publishing series, but this particularly entry has required some additional information by an associate with greater experience. 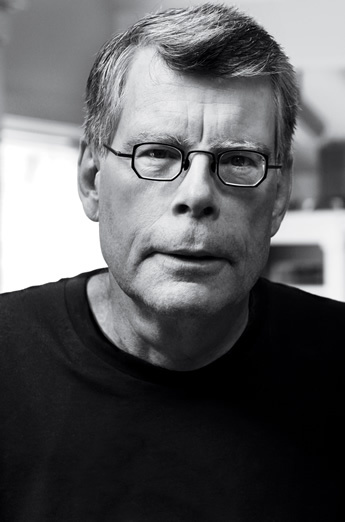 Therefore, today I will continue with my Genre Top 5, focusing on a current trend in writing- zombies. While I generally prefer zombie tales to the vampire and werewolf tales of the last few years (I’m looking at you Twilight), this doesn’t mean every zombie story is perfect. Some are little more than rip offs of classic films like Night of the Living Dead, with more gore and splatter then storytelling. 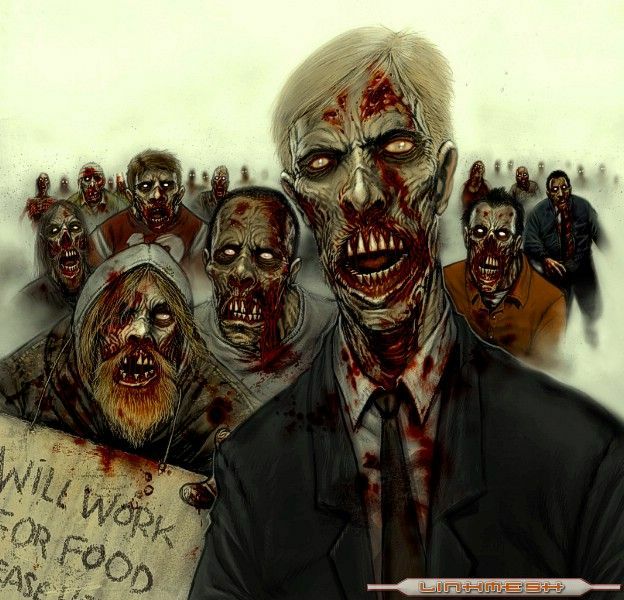 What’s worse, many authors don’t try to take the idea of the zombie and infuse it with new ideas, like different settings or even humor. So I’ve list the best of the zombie novels I’ve read, which succeed because of the different takes they give the undead. 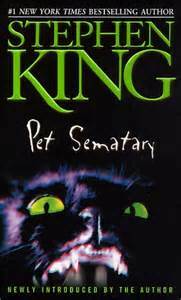 I already spoke of this novel in my Horror top five, but its importance as an early tale of the dead rising makes it essential for this list. 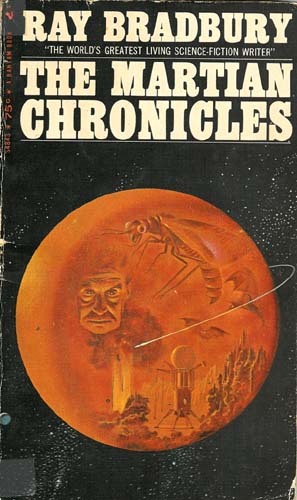 This was the first zombie novel I picked up, and I can say all my interest in the books come from this one tale. 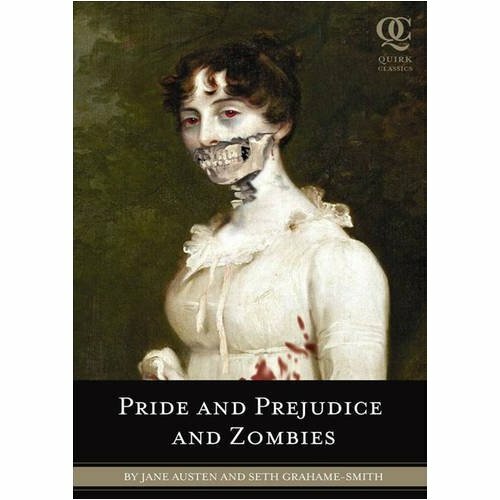 For literary buffs, it is an adaption of the classic Jane Austen tale, but places the Victorian characters into a minor zombie apocalypse, which has forced the five sisters to undergo intense self-defense training in the far East. 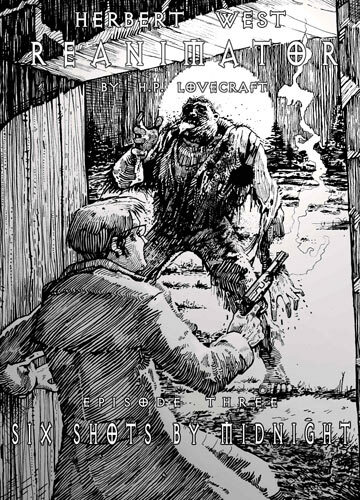 However, the story never loses its Victorian feel or manner (the zombies are even referred to as ‘hungry ones’ to make things more civilized) and while Elizabeth Bennett is now resolved to slaughter the zombies of England, the book keeps intact her family’s dilemmas and her complicated courtship of Mr. Darcy. 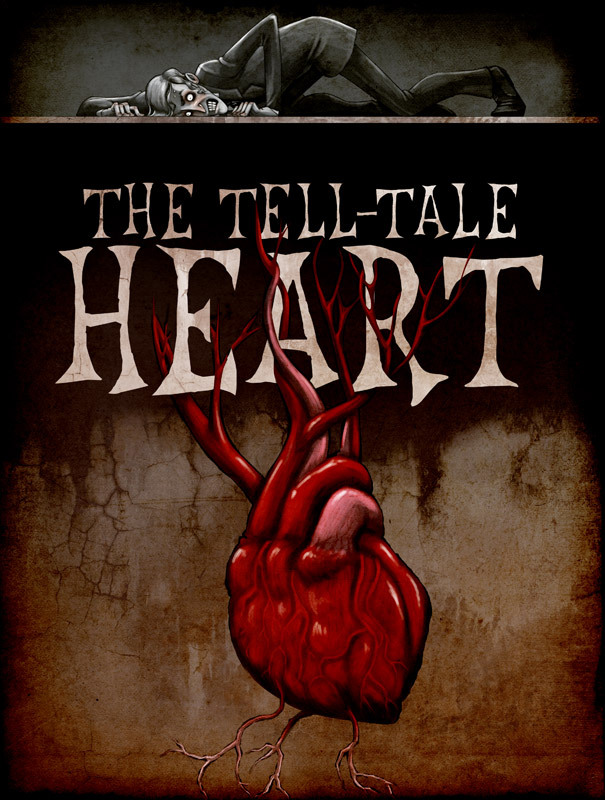 An excellent adaption that makes the classic novel easier to swallow for those not romantically inclined. 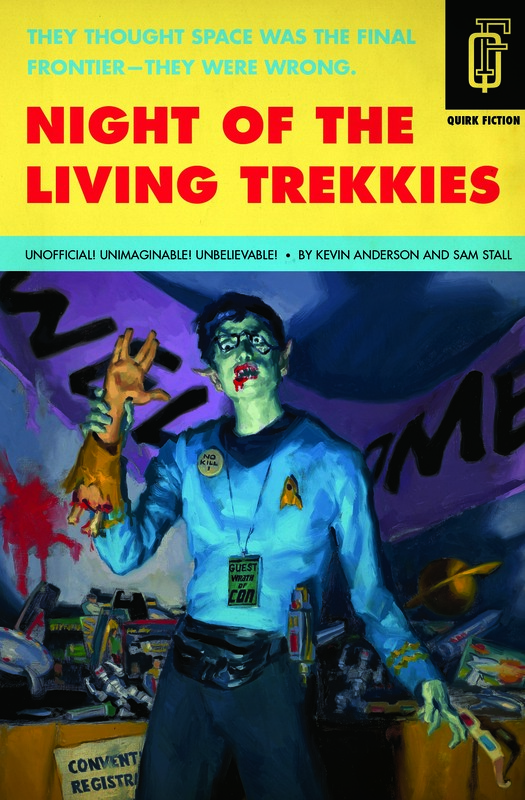 A zombie story for the sci-fi crowd, this novel makes the zombie plague the result of alien parasites, who rapidly infect the crowd of a Star Trek convention in a Houston hotel. The story is filled with plenty of references for fans (the main character is named Jim Pike, an anagram of two Enterprise captains, and the chapters are named after classic and appropriate Trek episodes), and moves at a quick pace. But what truly makes it work is not just how well the references work, but also the surprising depth behind it. Pike is a Iraq War veteran dealing with severe fears from his time in war; he is terrified of taking responsibility for the lives of others, but is forced to do so (and reignite his Trekkie past) to save his sister and the few human guests left in the hotels. 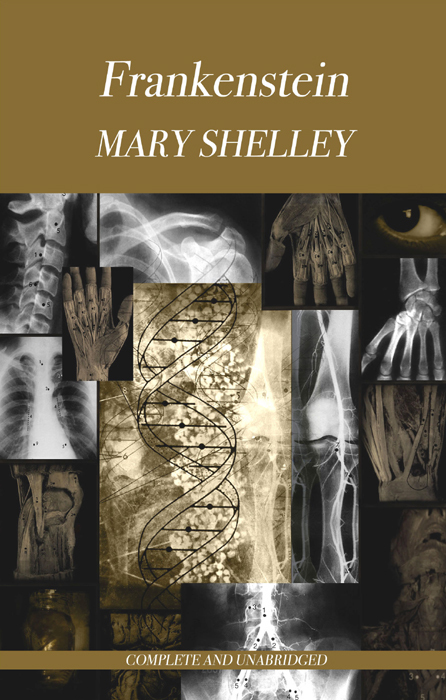 It is a story of personal growth mixed with phasers and brain-eating, and every aspect works brilliantly. 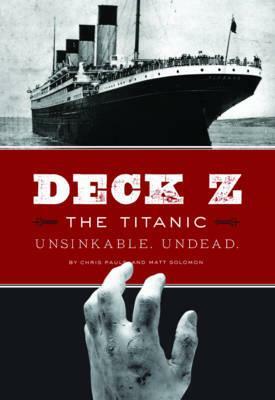 A historical zombie thriller, this takes the undead aboard the most tragic ship in recent history, the RMS Titanic. Thankfully, this is not a parody of the popular movie, but the tale of a post WWI German scientist who discovers a zombie creating substance that he hides above the ship to keep it from falling into the wrong hands. 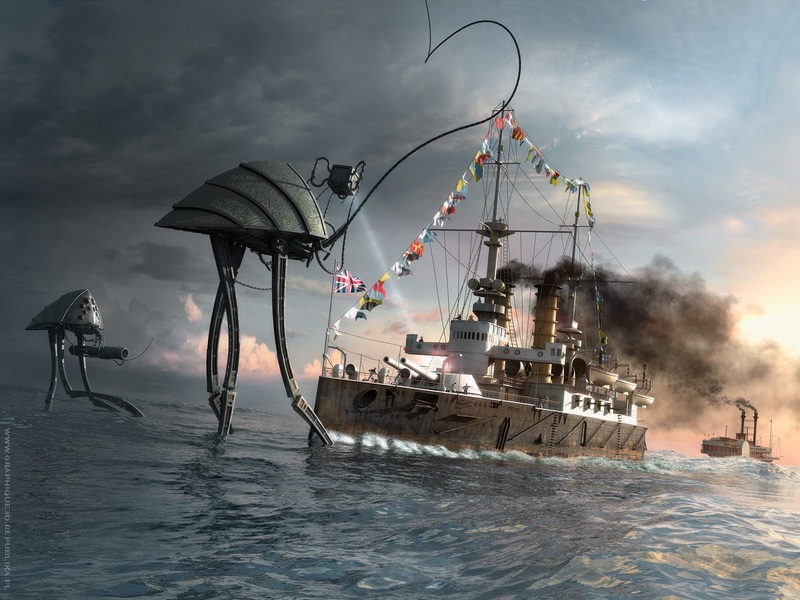 Unfortunately, an assassin causes the substance to leak and spread about the ship, just as the iceberg comes into view. While the concept alone will likely attract those hoping zombies will eat Celine Dion at some point, the story works because it doesn’t allow itself to delve into parody. The ship and events surrounding it are simply the background for a fast-paced story with enough historical accuracy mixed with zombie plague. 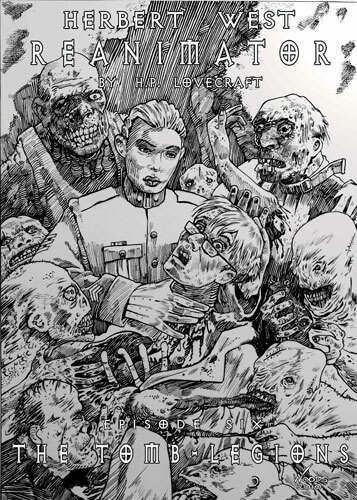 Taking real figures like Captain Edward Smith and making them zombie hunters is effective, while the main characters hope to use the substance to cure disease makes him sympathetic and understandable. 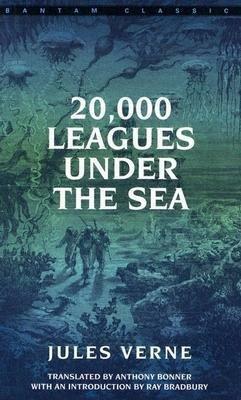 An excellent seafaring horror tale that James Camereon might’ve wanted to look at. 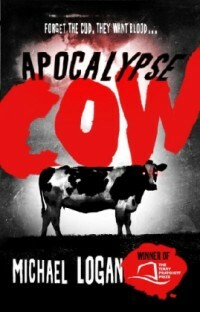 An award winning zombie tale (it is the first recipient of the Terry Pratchett Prize), it focuses on cows and other animals in the UK being infected with a zombie-esque disease that also resembles mad-cow disease. 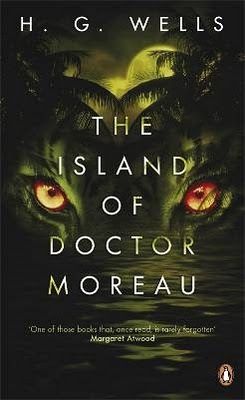 While the premise is certainly silly sounding, the story works because the author expands the idea by having other animals infected (imagine every animal in America suddenly going mad and hungering for flesh). The human characters also work wonderfully, as each one has some relation to the outbreak- a slaughterhouse worker, a rebellious vegan teenager, and a reporter looking for the next big story. Their story mixes in both humor and heartbreak as they attempt to escape to safety while saving and losing members of their families and friends. It feels like a story that’s ready to be turned into a film, and I would eagerly pay money to see that happen. The main thing that drives a story is conflict. Where between two conflicting ideas, or two conflicting characters, that constant friction and question of who or what is superior is what keeps us going as readers. In writing terms, characters that embody conflict are known as the protagonist (the character trying to achieve something) and the antagonist (the person trying to stop the protagonist from achieving his or her goals). In most stories, this is usually defined as ‘heroes’ and ‘villains.’ While these labels can be either protagonists or antagonists, they are still important concepts to understand as you develop characters. Therefore, I will be starting a list of characters that effectively portray heroes and villains and delve into what makes them work. To begin with, I will start with two enemies that were two of the earliest examples of heroes and villains for my generation- from Transformers, Optimus Prime and Megatron. 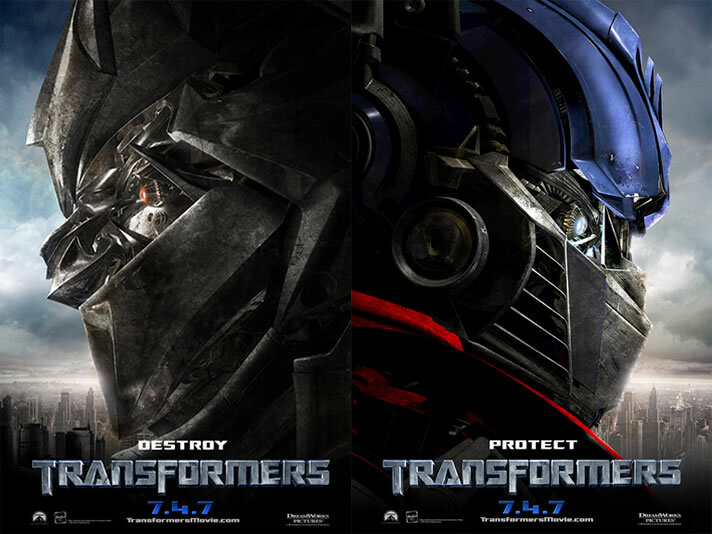 Alien robotic life forms from the planet Cybertron, Optimus Prime and Megatron are the leaders of the two dominant robot factions, the heroic Autobots and evil Decepticons. While both characters have existed in several iterations, the common threads are always that Megatron began the Cybertronian Wars, that Optimus rose to stop him, and that they have both led their factions for countless millennia before coming to Earth. As a result, both characters have a complicated history, and know each either almost as well as they know themselves. Since Transformers is based on a toyline, it’s easy to pain this rivalry as little more then standard ‘good vs. evil.’ And a large part of what makes Optimus and Megatron effective foes that create great conflict is their differences. Optimus is a wise and compassionate leader, who believes all life is sacred and has often sacrificed himself for the well-being of others, both Autobot and human. Megatron is a megalomaniac, convinced of his superiority and willing to sacrifice anyone and anything to achieve total dominance. Their rise to leader status further confirms this- Megatron rose to power through battle and propaganda, while Optimus was chosen as a Prime due to his compassion and desire to protect all life. Their underlying philosophies make for easy conflict and give both a great amount of determination to succeed, which gives viewers a great deal of interest in the stories. 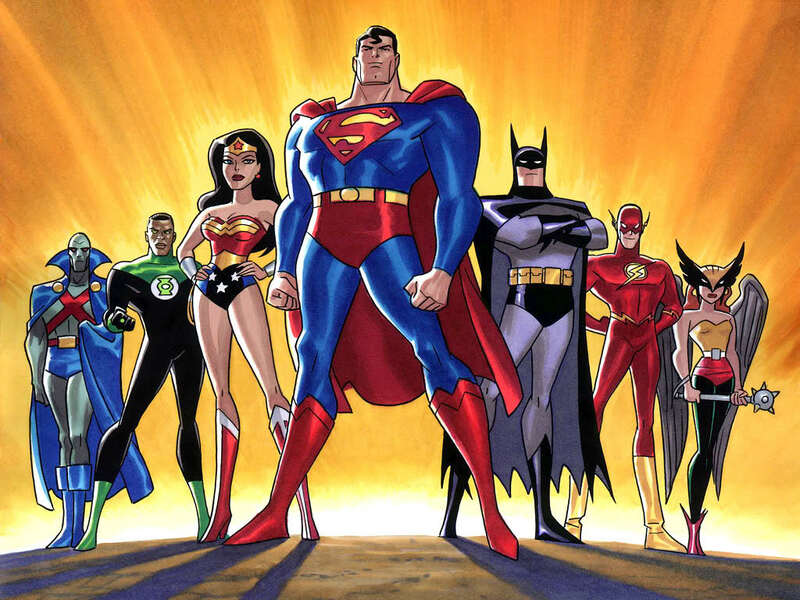 However, the various iterations of the franchise through TV, film, and comic books, has added a great deal of detail and depth to their relationship. In the beginning, Optimius was actually a follower and friend of Megatron, who spoke of creating a better world. However, Optimus was horrified by Megatron’s methods, which led to his eventual rise as leader of the Autobots. This adds touches of pain and betrayal to their relationship; Prime often regrets the loss of Megatron to darkness, commenting that their desire to better existence still links them, and were it not for their individual philosophies, they might still be allies. Megatron generally ignores this, but a recent portrayal in Transformers Prime, where Optimius is given amnesia and believes Megatron to still be an ally, hints that he may miss their former friendship. And despite their different beliefs, both have proven themselves to be strong leaders that value those under their command. While Megatron does not tolerate failure, he will not allow the total loss of his troops, nor any further damage to Cybertron. As such, he has worked with Optimus when such need arose. The degree of ease at which this happens also speaks to their long forgotten bonds, and deepens both the bitterness and former friendship between them. Toys or not, Megatron and Optimus represent perhaps one of the best examples of the tragic enemies. While it is obvious they will never be able to work together, there is enough history and similarity tying them to together to make each blow they land carry a feeling of tragedy. As such, they echo the best trait of heroes and villains- that one should be an opposing reflection of the other- but also move past the basic nature of good vs. evil. These are two beings that share the dream of improving their world and existence in general, beings that were once friend because of that same desire. It was only their different methods that drove them apart, and it is far more likely they could accomplish more together then they have apart. It makes each blow they take from each other feel that much heavier, and make their rivalry that much more engrossing. A writer that can create this kind of epic and heartfelt rivalry between their characters has all the conflict they need to drive their story. Last week, I said that Points of Light needed to focus on two dark films that inspired me in the creation of my two main characters. I began with Sam Rami’s Darkman, which provided the torment and loss for Joe, as well as some dark humor and the asthetic of the Knights’ costumes. Today, I will examine the other dark film and graphic novel, which was a major turning point for the creation of Nightstalker- James O’Barr’s The Crow. The Crow, one of the most famous independent comics of all time, is the story of Eric Draven, a musician killed alongside his girlfriend by a gang of violent street punks. 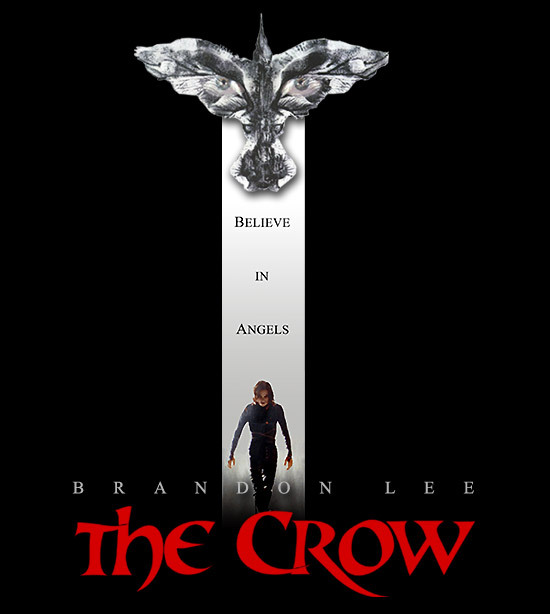 One year later, Draven is resurrected by a mysterious crow (which according to the film, guides souls to the land of the dead, and occasionally brings them back), dons a black costume and frightening white makeup, and goes out onto the streets to take his revenge on the criminals that destroyed his life. The film and comic take different approaches- the comic deals far more with the emotional turmoil Draven goes through as he comes to terms with death, while the film focuses more on the acts of revenge he takes against the gang. Both end with Draven taking the criminal out and returning to the earth to see his girlfriend again, finally accepting his death and the circumstances around it. The Crow is laced with tragedy, and with good reason. O’Barr wrote the story after his girlfriend was killed in a drunk driving accident coming to pick him up. 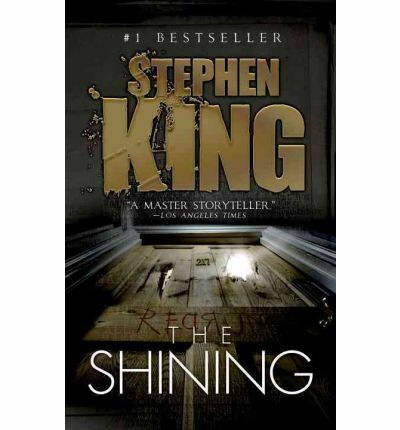 O’Barr poured all of his anger and guilt into the pages of the novel, and that all comes across in the movie, which sadly has its own tragedy (actor Brandon Lee was killed during filming due to an accident with an improperly loaded gun). Regardless, Lee put on a tremendous show of Draven’s inner anger and rage as he took revenge. What I found amazing however, was that despite his inner anger and turmoil, he still showed traces of humanity and tenderness, especially with his friend from his old life, Sarah. Even when he finds that Sarah’s mother is with one of the thugs, Draven still takes time to both heal and lecture her on the importance of her child. This, in a moment, crystalized Nightstalker for me. While he was someone that was dark and scary and violent, he could still be human, and care about others, even regret the course of action he had to take, despite it’s varying levels of justification. But when he was violent and scary, he would still bring everything he had to it. Still, I always appreciate some humor in my heroes, and Draven could pull that off even in his most frightening scenes. 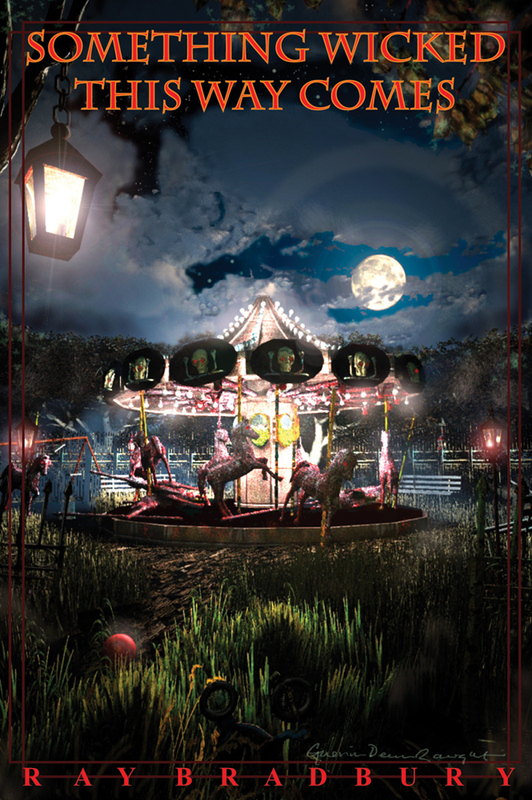 But more then anything, I saw Draven’s inner turmoil and how it was driving him. He was driven by a desire for revenge, without question, but also so many other things. He was wracked with guilt that he couldn’t save his girlfriend. He was tormented by the pain he endured. And the memories of his past humanity, which he knew he could never have again. But he never showed any of that to the people he battled against. All his pain was reserved for moments of solitude, or moments with the few allies he gathered in the time he returned. It was a unique dynamic to me- someone that buried the pain, but dug it up when he was alone. It made him human despite all his brutality and anger, and I knew how much Nightstalker would need that. Like Darkman, The Crow is an amped up revenge story, but with a different focus. Reading the comic or seeing the film is a way to see a character shaped by grief and loss; knowing the backstory shows how far a person might want to go to see justice done. There’s also the moral of accepting death and our own limitations in the sight of it. 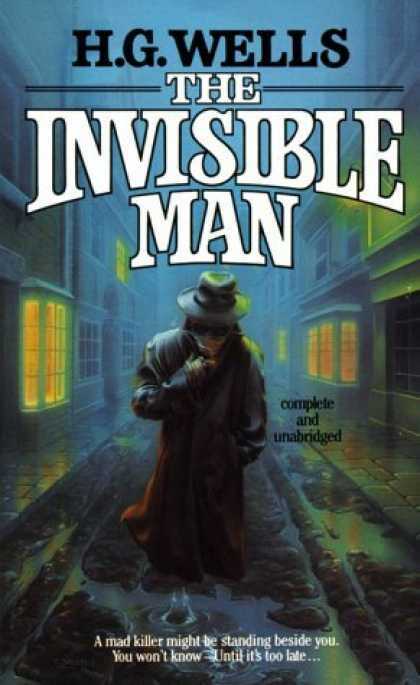 Even if the supernatural/superhero elements don’t reflect your own ideas, they are concepts that resonate in some of the greatest works in literature. If you want to tell a story that deals with death and what it can cause a person to do, there’s no greater and truer fiction then The Crow.